Chris became Managing Director of our award-winning practice in 2015. In this role, his primary focus is to ensure that exemplary design quality and delivery continue to be at the heart of every project. 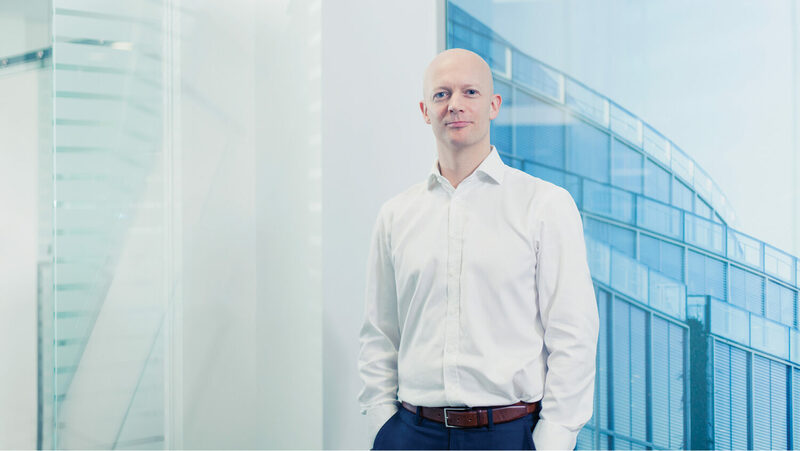 Chris joined EPR in 1997 and has extensive experience in designing and delivering large workplace, residential, retail and mixed-use developments. He has developed exceptionally strong design, project leadership and management skills, is qualified as an Architect (RIBA) also having an MA in Architecture with distinction, Project Manager (MAPM), and has an MBA in Real Estate in which he graduated top of his year. Chris has a particular interest in sustainability stretching back to 1994 when his design for a naturally ventilated library was presented to the PLEA conference ‘Architecture at the Extremes’. He established EPR’s Sustainability Working Group and he continues to promote sustainable best practice throughout the firm. Chris is responsible for an impressive array of award-winning buildings, including The Ram Quarter development for Greenland Group (previously for Minerva and Delancey), 100 Cheapside for Quadrant Estates, York House for British Land, One John Street for American Express in Brighton and Winnersh Triangle for Patrizia (previously for SEGRO). These projects have evolved from a commitment to deliver sustainable, contextual buildings and places, which balance art, functionality and commercial success. Chris is currently a member of the Wandsworth Design Review Panel and is a judge for the WAN Awards. He lives in West London with his wife Annie and two young sons and can occasionally be found surfing.